“Moy family photos,” ca. 1900,” Chinese Exclusion Act case files, RG 85, National Archives-Seattle, (Moy) Gee Hung case file, Seattle RS Box 62, RS 2478. In 1901 when he was five years old Moy Gee Hung, his parents, Moy Sam Sing and Kong Jung Chun, and his older sister, Annie, left Boston, Massachusetts and return to his parents’ home village at San How, Sun Ning District, China. His older brother Henry stayed in the U.S. with an uncle. His father didn’t stay in China long and returned to the U.S. to Portland, Oregon. His mother died in February 1906 and in 1909 Moy Gee Hung returned to the U.S. to join his father and brother in The Dalles, Oregon. The interviews in the file focus on his father’s life. In the 1880s Moy Sam Sing was a merchant at Quong Sang Lung Company and San Sing Company in Boston, Massachusetts. He visited China, married Kong Jung Chun, and bought her back with him to Chicago. They had two children there, Annie Moy (born 1890) and Henry Moy (born 1893). After about five years in Chicago they moved to Washington, D. C. where according to Moy Gee Hung’s birth certificate in the file, he was born on 27 July 1894. Two years later they moved to Boston, Massachusetts. Moy Sam Sing testified that when he originally came to the U.S. around the 1870s he lived in Portland, Oregon; St. Louis, Missouri; Chicago, Illinois; Providence, Rhode Island; returned to China (one year); Chicago, Boston, Atlanta, Georgia; Jacksonville, Florida; returned to China (about one year); returned with wife to Chicago (6 or 7 years), Washington, D.C. (one year), Boston, returned to China, traveled on East Coast for three months, Tacoma (3 years), Seattle (one year), Vancouver, Washington (one year); The Dalles, Oregon (3 years to 1909). He applied for naturalization in Atlanta, Georgia (ca. 1883-84) and took out his second papers in Jacksonville, Florida. (ca. 1888). The interrogator asked if he knew at the time that naturalization of Mongolians was forbidden by law. Moy didn’t know but thought if the court was willing to issue the papers to him he would find two citizens to act as witnesses. With the help of Mr. Jones, a lawyer in Boston, Moy Sam Sing applied for and obtained his U.S. passport. He paid a $5 fee. Much of the nine-page interview of Moy Sam Sing refers to events in his life which did not pertain to his son, Gee Hung. The interrogator was bringing up in great detail old, serious wrongs that Moy Sam Sing had allegedly committed but had not been proven. Moy offered to produce two consuls of China, Moy Back Hin of Portland and Goon Dip of Seattle as sponsors of his credibility. When Moy Gee Hung arrived in Seattle In September 1909 he was joining his father and brother in The Dalles, Oregon. They were his witnesses. Neither had seen Moy Gee Hung in over ten years when he was five years old. His father, Moy Sam Sing, did not have a good reputation. He was well-known to Immigration Service for suspected perjury, smuggling and other unlawful schemes involving prostitution. Seid Back Jr., a well-known attorney from Portland, Oregon wrote to Immigration Service in Seattle to let them know that he was representing Moy Gee Hung upon his arrival in the U.S. in 1909. 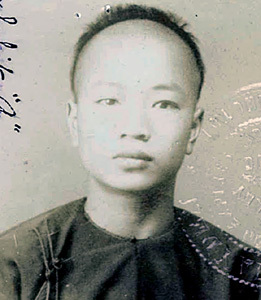 After considering oral and documentary evidence, Moy Gee Hung was approved for admission to the United States as a native born citizen. 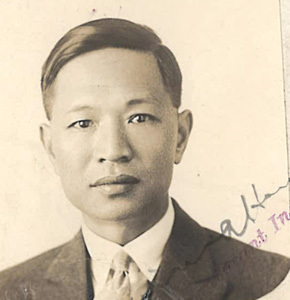 In 1919 Moy Gee Hung was applying to leave the United States for a visit to Canada and had no problem getting his application approved.